Experience the miracle of juice fasting/feasting, as a means of detoxifying your body. 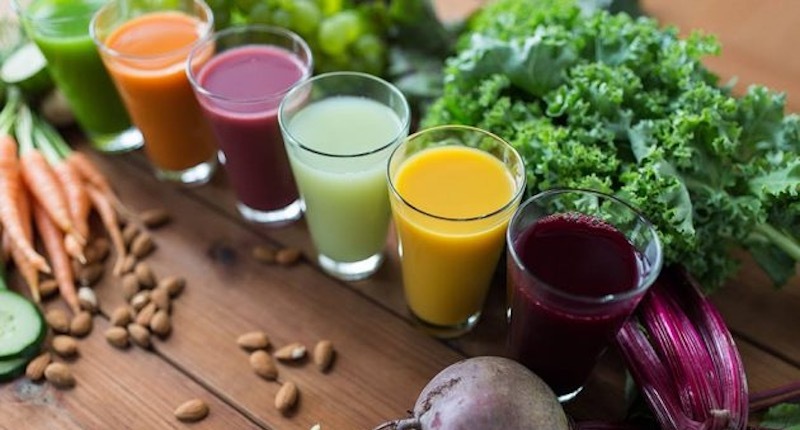 Juice FASTING and juice FEASTING, also known as “juice diet”, “juice cleanse” or “juice detox” are all ways to detoxify and nourish the body by drinking (or eating, in the case of juice feasting) plenty of fresh fruits and vegetables. The key is to hydrate and nourish your cells with the high quality vitamins, minerals, enzymes, and antioxidants that you don’t get from cooked foods. A person doing a juice FAST consumes only the juices from fresh fruits and vegetables, in as many times a day as they like and can comfortably drink, in place of their solid food meals. The amount of juices drunk a day is 2-3 liters/quarts a day. In between juices, you may also drink vegetable soups, herbal teas, and plenty of pure drinking water. In other words, it is a purely liquid, nutritious diet. With this kind of juice fast, healing reactions may occur earlier in the fast and possibly more severe, but consider them all as good signs of your body being on the way to healing! There are various interpretations of juice feasting, though for me, juice FEASTING means consuming juices (1-2 liters/quarts a day) and EATING fresh fruits and vegetables. You may include lightly cooked vegetables (steamed, lightly stir-fried, or blanched), during your juice feasting. The idea is not to be hungry, and you can eat as much as you comfortably want, without forcing. During juice feasting, you eliminate all other harmful foods from your diet: Flour and sugar products, processed and deep-fried foods, dairy and meat products, soda, alcohol and caffeine. Should You Juice FAST or Juice FEAST? YOU decide whether you want to juice fast or juice feast. There are no hard and fast rules. Some people like to keep it simple by drinking only juices, along with water, broths, and herbal teas. This is great, it works! Some people cannot afford to go hungry (as in the case of diabetics) so prefer to eat alongside juicing. Then go on a juice FEAST as described above. Feasting on fresh, organic food is the key in healing. This works too. Whatever you decided to do, it is a detox/juice cleanse that’s unique for you. Drinking an increased amount of juices provides you a variety of nutrients which you would otherwise not get. The amount you drink determines how fast you will heal from your ailment. YOU decide how fast you want your healing. Juice feasting is suitable for you, if you are diabetic or suffer from hypo/hyper-glycemia, but stick with green juices only. If you will be or have just undergone a surgery, a juice feast may be the perfect diet for your situation, although scaled down in quantity. You will naturally have many more questions about doing a safe juice fast/feast. I’m breaking down the information to smaller digestible articles in the links below (or on the left if you’re using a desktop). If you are seriously considering a juice fast/feast, please thoroughly read up all you can about it. Come with me as I share with you from my personal experience. You have any kind of eating disorders (then close supervision is vital for the success of your healing). You are on daily prescription medication. Please consult with a health professional who is skilled in nutrition or detoxification. You MUST NOT discontinue or reduce your medication on your own accord. Juice fasting/feasting is best for individuals who have health problems and WANT to get well. If you fall under the above categories, you should fast only under close supervision of a health professional. If/when you decide to go on a juice fast/feast, do get acquainted with all the implications, and know what to expect in order to benefit most from your juice fast. You don’t want unwelcome surprises. 2. Is your juicer safe to use for juice fasting? All that I have to say here about doing a safe juice fast includes using a safe juice extractor. I often discourage use of a centrifugal juicer for a juice fast as it may do more harm to you than good. Please read about whether your juicer is safe. If you can, invest in a slow juicer that will last you a lifetime in providing you fresh juices in the best form. Another disadvantage of using a centrifugal juicer is that it’s not as effective for juicing green vegetables which are the most important ingredients in a healing fast. Also, a word of caution, by using a centrifugal juicer, the result of your juice fast may not be as optimum as if you would use a gear juicer. I’ve had people tell me that they get well too using a centrifugal juicer. Fine with that. But I’ve also come across people whose health had deteriorated even though drinking juices over the years, which I discovered were extracted using centrifugal juicers. The cause may or may not be the type of juicer used, but, understanding what oxidation does to the body, I would not take the chances of drinking oxidized juices. You decide which way you want to go. When Is The Best Time Of The Year To Juice Fast/Feast? There is no doubt that juice fasting is a great thing to do to detoxify and to heal a health condition. However, when it comes to deciding on the time of the year to juice fast, there are a few things you need to consider. First of all, consider where you live. If you live in a place that is hot and humid all-year round, such as countries near the Equator, then juice fasting at any time of the year is an easy decision. Any time is a good time! But, if you live in colder countries where there are four seasons, such as in the northern or southern hemispheres, then it might be helpful to juice fast during the warmer months. Freshly-extracted juices are generally more “cooling” in nature. For example, during winter, your body will tend to crave a bowl of hot soup, rather than to drink a glass of watermelon juice. Well, occasionally you may want to drink a watermelon juice on a cold day, but your body will certainly not take well to drinking fresh “cooling” juices every day for weeks on end. During cold months, your body needs to eat solid, hot, cooked food to keep warm. But if you juice fast during the winter, it may lower your body temperature further, thus may cause an uncomfortable feeling of being constantly cold. This is not helpful if you have conditions such as arthritis, hypothyroidism and Raynaud’s syndrome. Do juice FEASTING to include lightly-cooked food in your regime. Include as many of these body-warming foods as you can in your juices and meals. Add spices in your juices and foods. Drink hot broths and soups. Please refer to this page for some suggestions on what you can add to your juice fast. The idea is to be creative, to make it work for you. 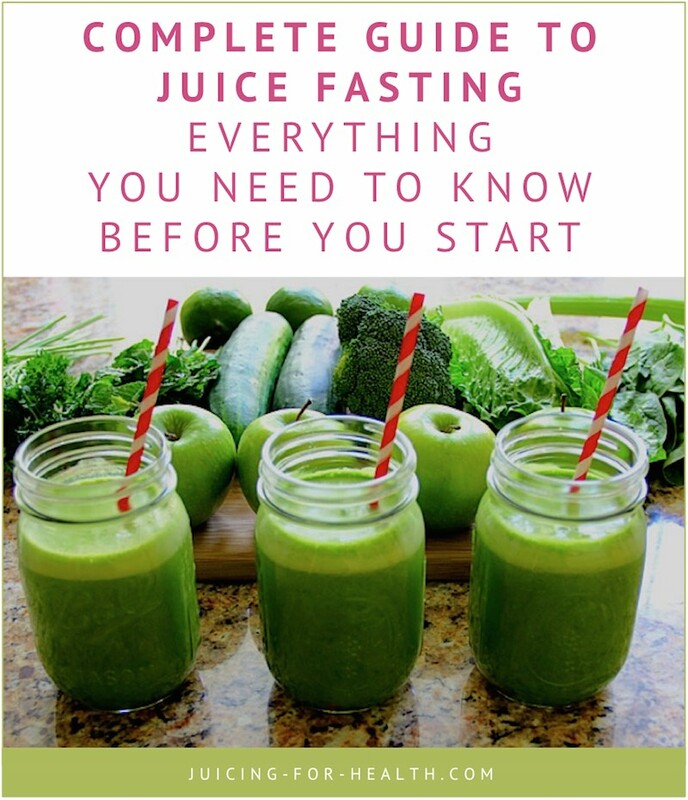 There are many things you should know before you start a juice fast, especially if you’re new to juicing. In this complete guide to juice fasting, we cover everything you need to know before you start a juice fast. Some of these topics, you may not even have thought about. People juice fast for various reasons. Some juice fast to detoxify—to “reset the internal button”, some juice fast for healing, others juice fast to lose weight. For whatever reason you’re fasting, two very important benefits take place when you juice fast—you allow your digestive system to rest, and for your body to heal. This article lists the numerous miraculous benefits of juice fasting. 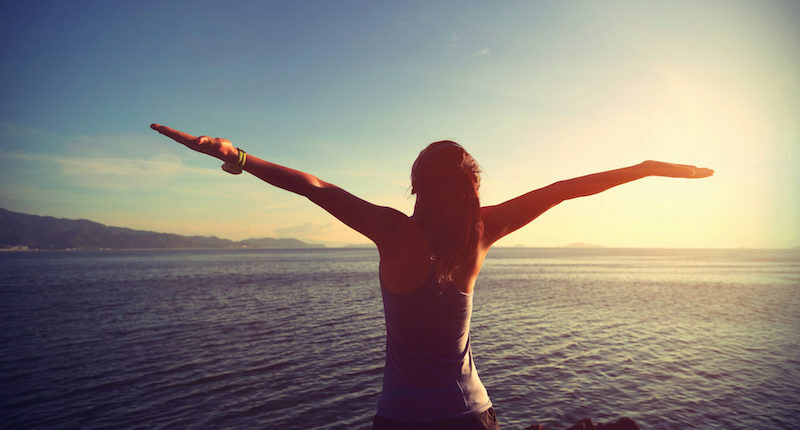 If you’re contemplating juice fasting vs water fasting, you will also find your answer here. There is a little chart here to show you where you’re at with your health. From the chart, you may see early stages of a chronic disease developing that is/are signaling you to do something about your health. If you experience any of the symptoms listed on this article, then a juice fast will definitely be beneficial for you, whether it is a short or extended fast. Doing a juice fast requires some work—shopping for your fruits and vegetables, cutting them up, juicing and washing (that’s the reality). This article helps you to plan ahead so that you start this lovely journey on a juice fast, on the right foot. You think you’ve decided on the number of days to juice fast. This article will take you through the stages of juice fasting. Everybody is at their different stages of their lives and health. But, when you go on a juice fast journey, you will begin to feel changes in your body, depending on how long you juice fast. Be equipped with these information so you know what to expect and do not experience some unwanted surprises. Do not leave everything to memory. Most of the time, we cannot even recall what we ate for lunch two days ago. There are many benefits to keeping a juice fast journal to help you keep track of what worked and what didn’t. This tool is powerful for future reference, and helps make your juice fast more meaningful for you. 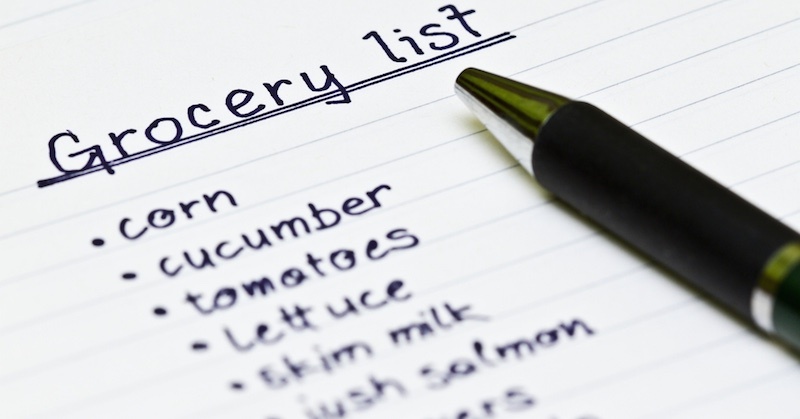 Go here to get the checklist of items that should go into your juice fast journal. Whether you are on a short juice fast or on an extended juice fast, you are bound to experience some symptoms that you don’t normally experience. There may be some more intense aches and pains, nausea or bloating. When you expect them, it will be easier when you actually experience them. These are all positive signs that something is working inside your body towards healing. Should you decide to go on an extended juice fast for therapeutic purposes, you may experience some physical healing reactions, or sometimes called “healing crisis”. This article explains why you are experiencing these reactions, how to recognize them, and how long they will last. With extended juice fasts, you may also experience emotional healing reactions. The emotional reactions may not be pleasant and sometimes even seem scary, but they are necessary as you walk through the healing process, and purging them out of your system. Suppressed negative emotions and trauma get stored in your deep tissues as toxins. And with deep cleansing through extended juice fasts, they can be expelled, bringing much-needed relief. When you juice fast, you have to make a conscious effort to drink enough fluid throughout the day. The key to juice fasting is hydration with all the natural vitamins, minerals and enzymes. So, what helps with hydration, and how much is enough? This article discuss what fluids you can include in your juice fast, to keep your body satiated with a variety of nutrients. This is a common question most people ask when they start juicing. If you’re going on a juice fast, chances are you will want to make more juices and store them so you don’t spend time juicing and washing all the time! We discuss some tips on how to have your freshly-pressed juices keep for longer. Storage options also play an important part in ensuring that your juices stay as fresh as possible. So you’ve come this far and decided to go on a juice fast. We have prepared a few juice fast plans, divided into one week, two weeks, three weeks and beyond. Each article will discuss how you can prepare for the program, what you can expect during and after the juice fast. 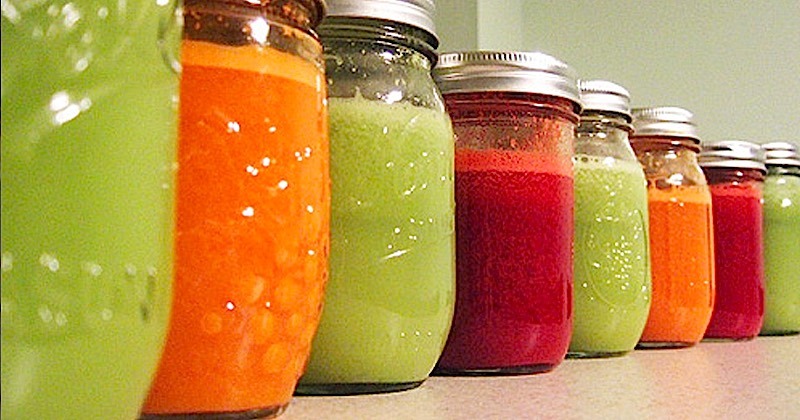 If you’re new to juice fasting, you may be curious about what to include in your juicing. You can use almost any fruits and vegetables. If you have a blood sugar issue, then stick with more green vegetable juices; green apples and lemons are permitted. As for me, there are a few fruits and vegetables that I usually use when doing a juice fast. I make them all in large quantities and store in my fridge for up to 3-4 days. Learn about these ingredients that you can also use for your juice fast recipes and the reasons why you should use them. You can get creative and mix and match them. With a little planning, juice fasting can work well for you even if are out at work most part of the day and the week. We discuss some practical tips that you can use to make juice fasting work for even busy people like you. 13. Supplements when juice fasting – do you need them? Learn what fruits and vegetables that can provide you protein, and most of all the nutrients that your body needs during the juice fast, for detoxing and nourishing. By now, you should have an idea on how long you want to go on your juice fast. A little planning helps you to reduce wastage. There is no “one list fits all”. Every individual has different needs, different budget, different type of juicers (means you get different juice yield) and different purposes. Here are some things to consider. Doing a juice fast is a great way to detoxify and flush your body of harmful toxins to revitalize our entire body. When you combine your juice fast with some massage, it can help increase the effectiveness of the detox. There are self-massage methods that you can do to get your lymph fluid moving properly to promote easier detoxification. Breaking fast is an important part of your entire juice fast journey. Breaking fast safely and responsibly will ensure the end-results of your juice fast go a long way. We give you some advice here on how you can break your fast gently and safely, with suggestions on some foods that you can eat, and when you can introduce them back into your diet. The main reason for doing a juice fast is usually for health reason. A juice fast detoxifies your body of toxins, then nourish it back to health. When you go on a juice fast, you may initially see a big weight loss—this is your body water weight loss. After that the weight loss may plateau. Your body is intelligent in that it knows what to fix first in your body, and weight loss will follow. An extended juice fast including mostly green vegetable juices would be more effective for weight loss. I hope this juice fast guide has been useful for you. If there are more information that you think should go on this page, do let me know!